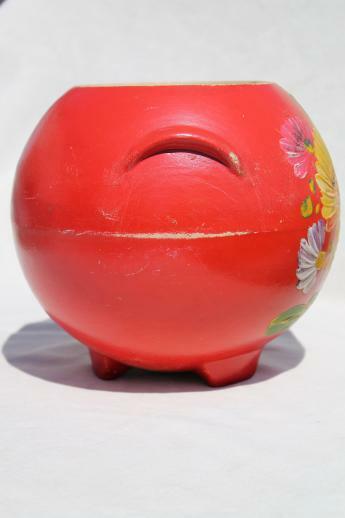 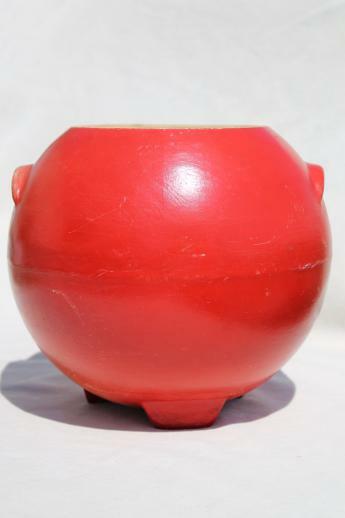 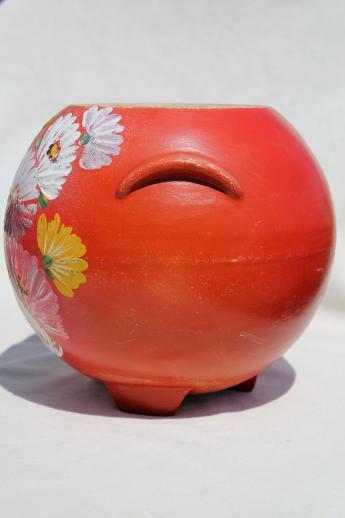 Vintage Ransburg pottery pot, a round jar without a lid. 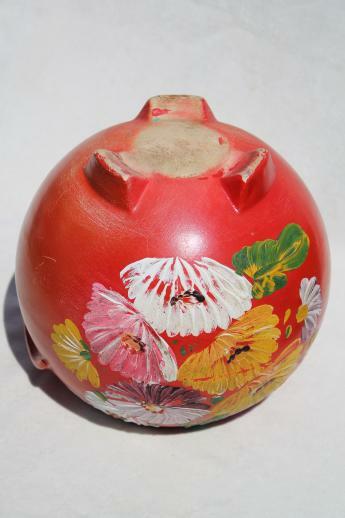 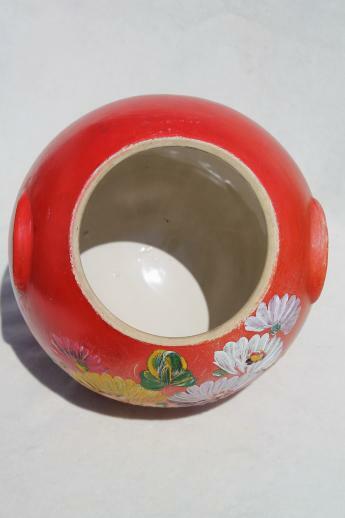 This measures 9" tall, 8 1/2" in diameter, and 5" across the opening. 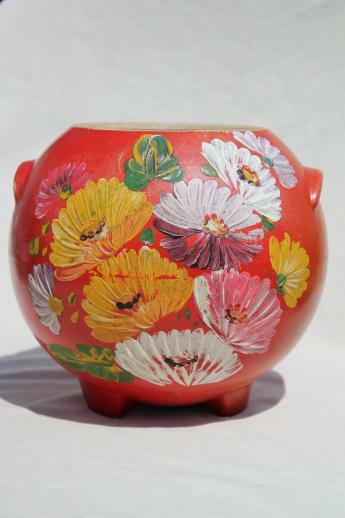 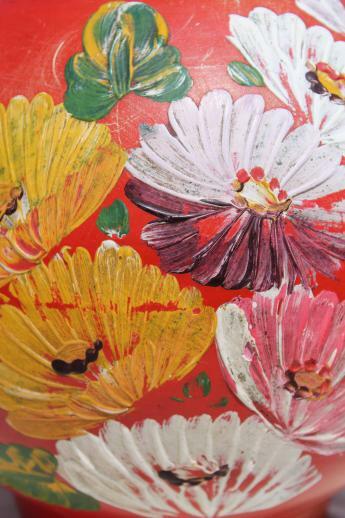 It's the red orange color with fiesta bright flowers, all hand painted. 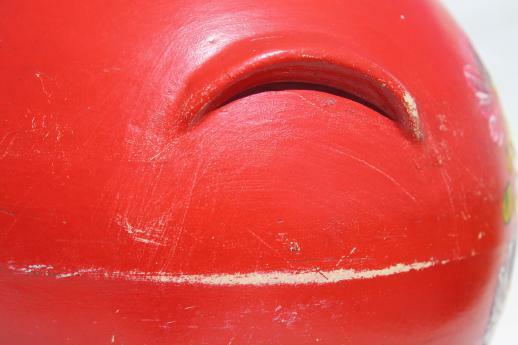 There's a little wear to the paint, but no chips or cracks to the crockery.